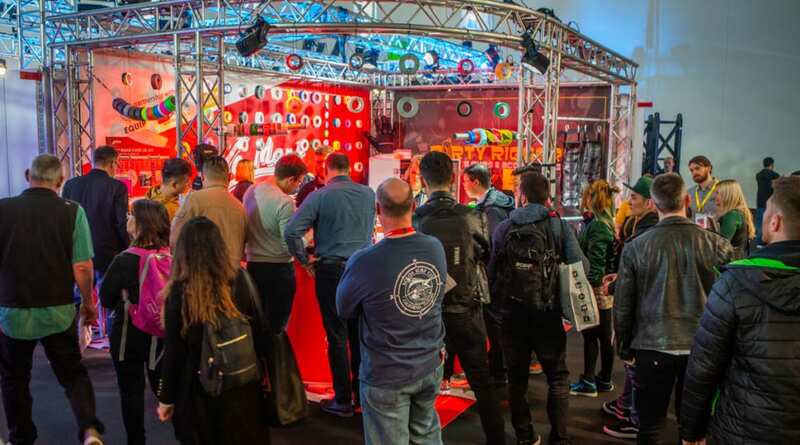 Once again, the Prolight + Sound exhibition in Frankfurt was a great success for Le Mark with customers visiting all the way from Russia, Canada and even New Zealand. 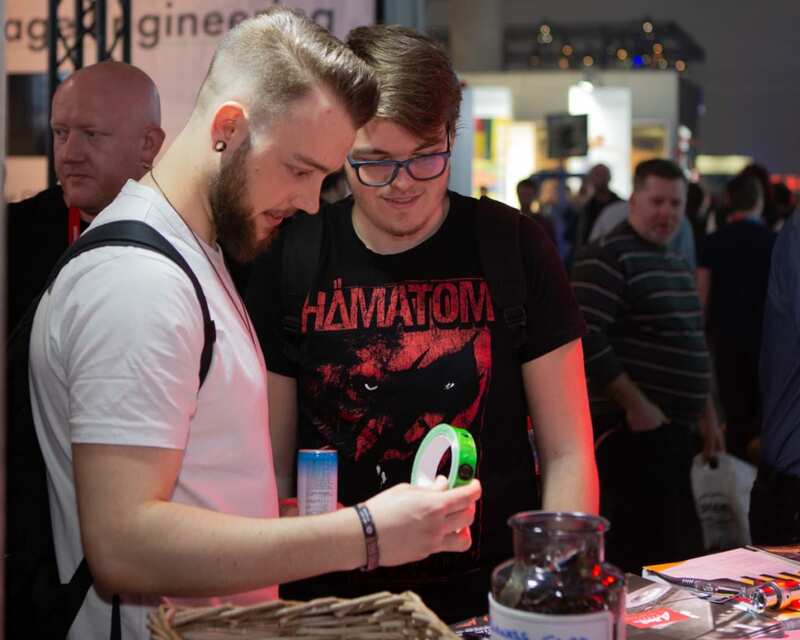 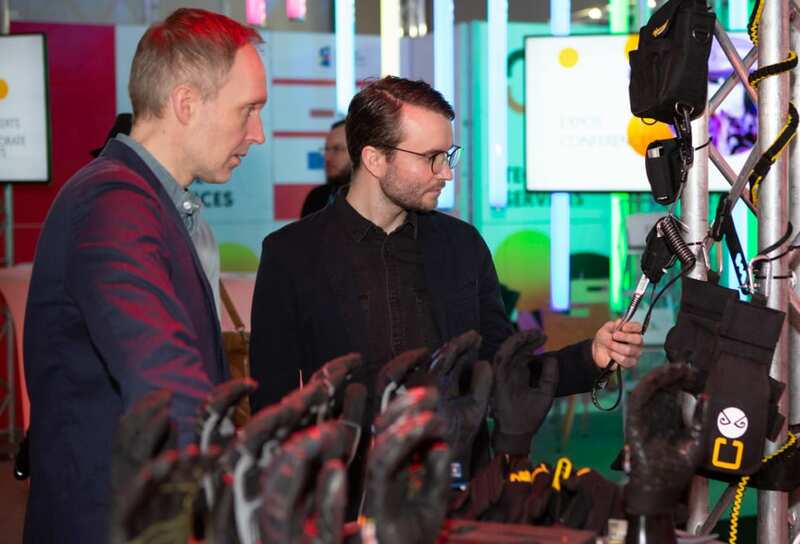 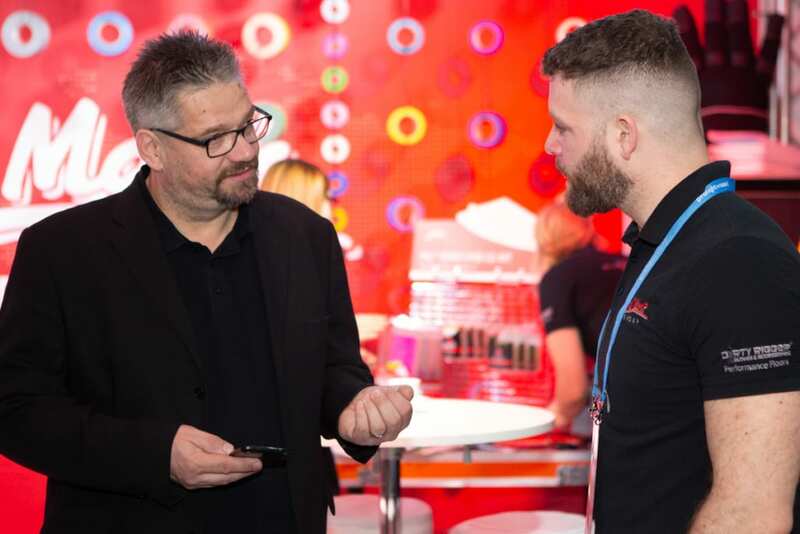 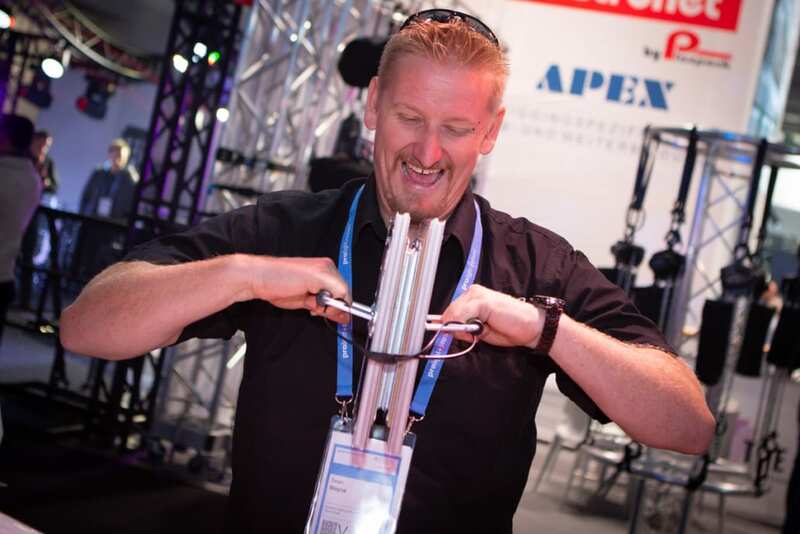 Billed as The Global Entertainment Technology Show, the event took place from 2nd-5th April at the Messe Frankfurt Exhibition Centre. 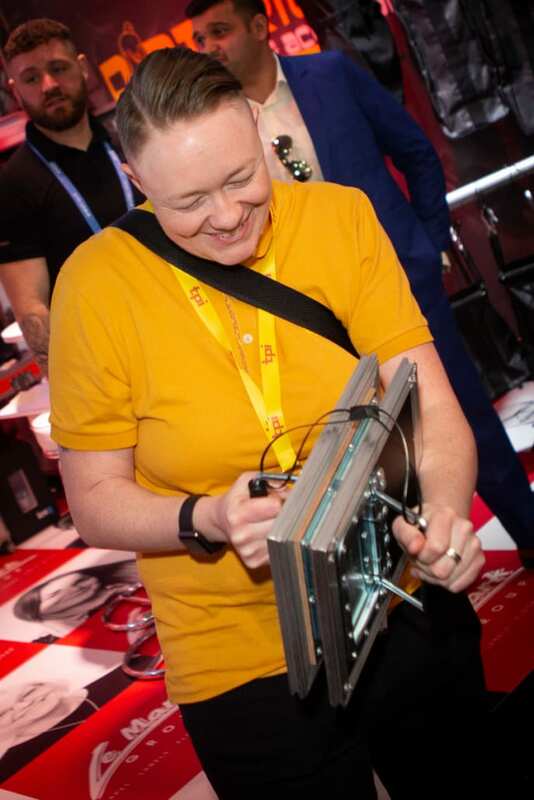 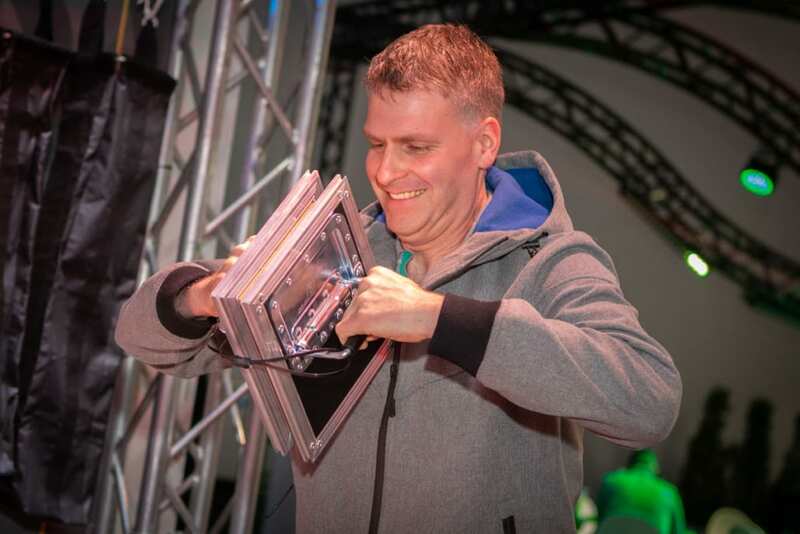 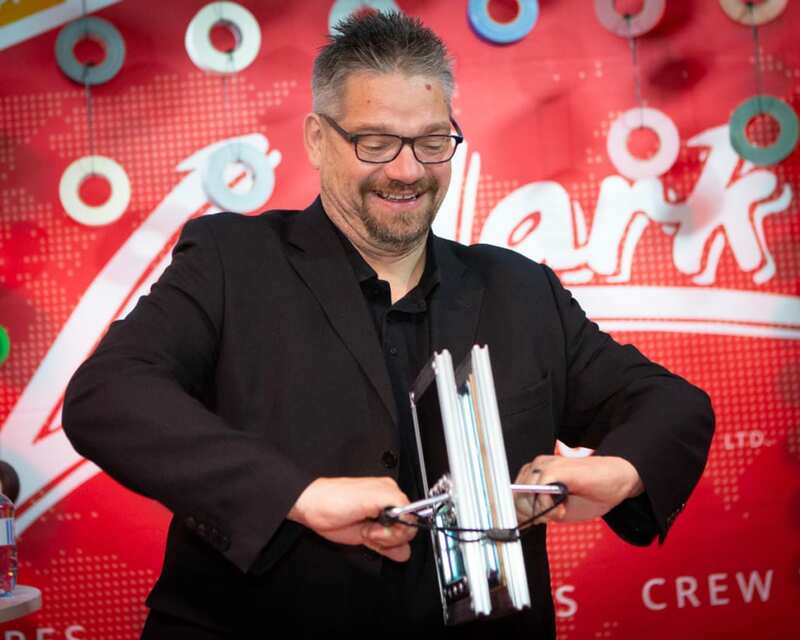 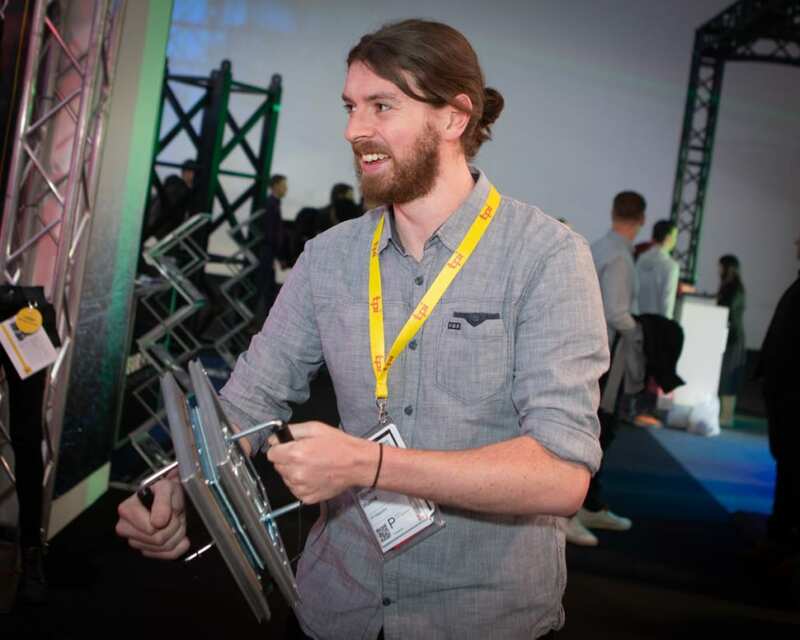 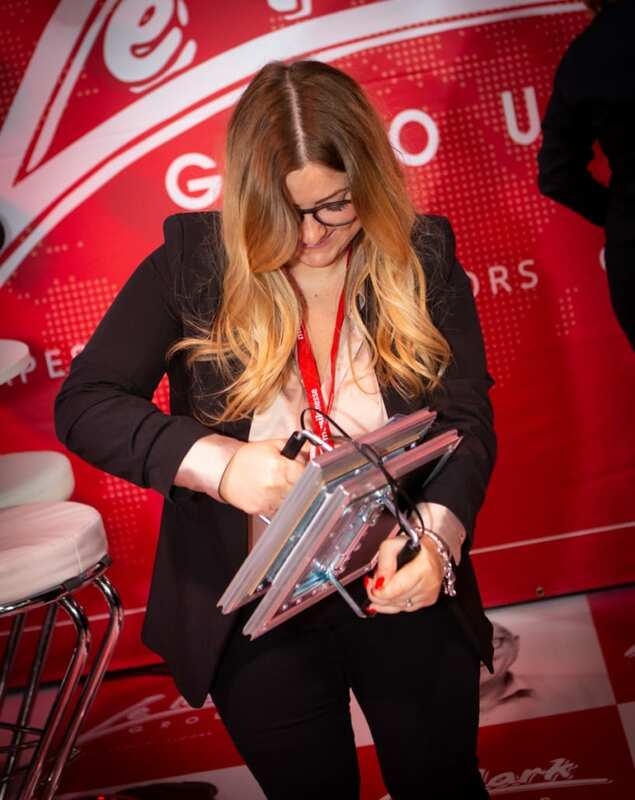 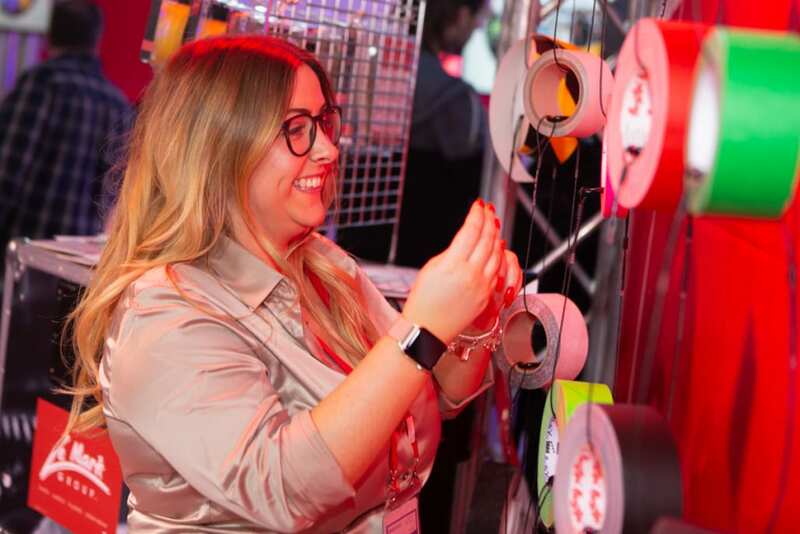 The PAL Label Challenge was a highlight of the event, with attendees trying their very hardest to pull apart our ultra-high-tak foam adhesive from between two flight case recessed label plates. 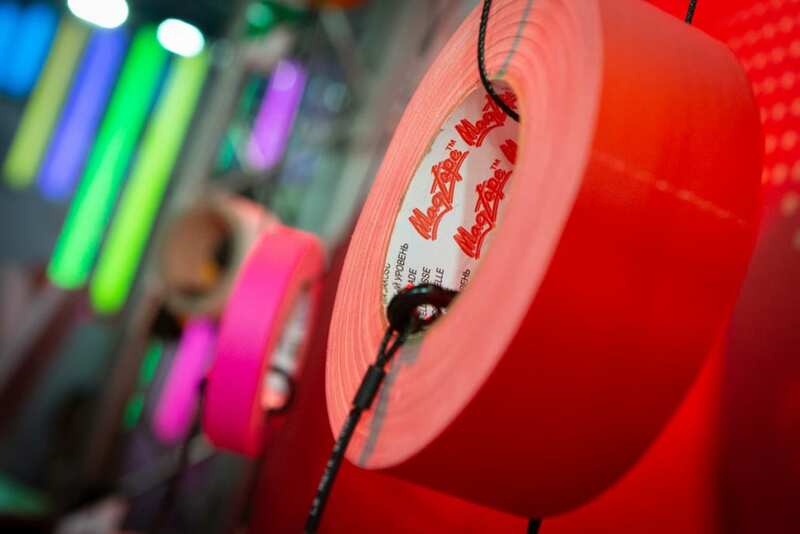 Many tried, but no one succeeded! 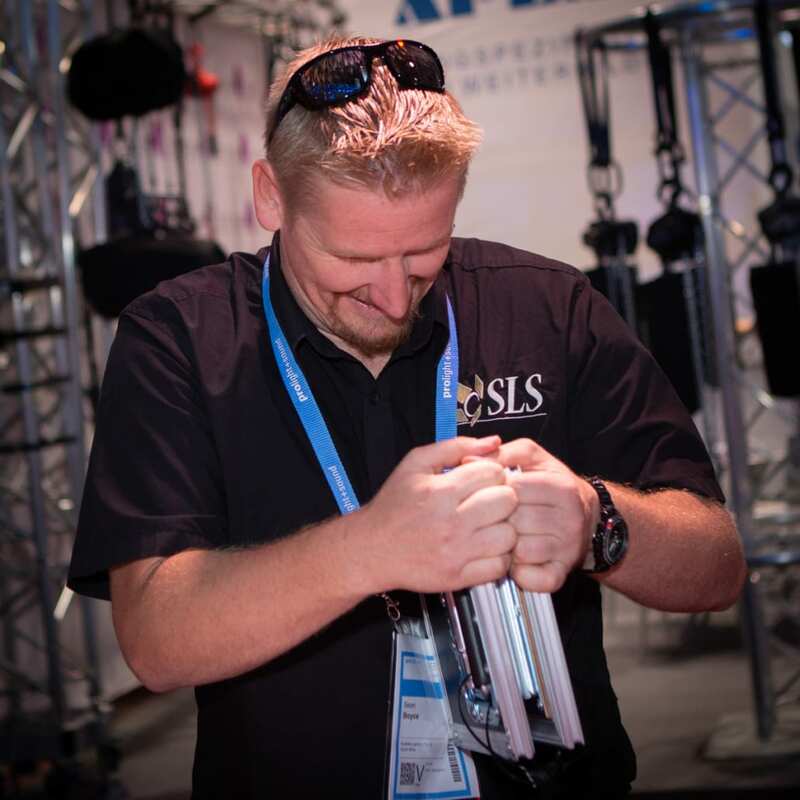 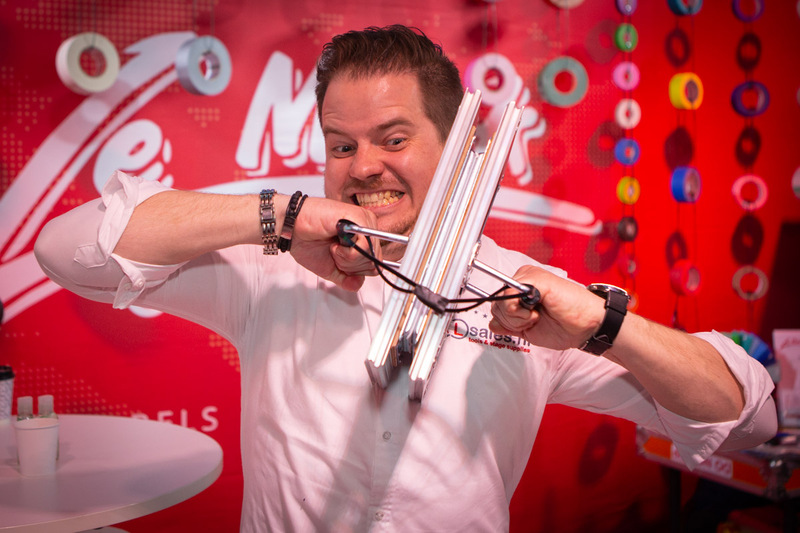 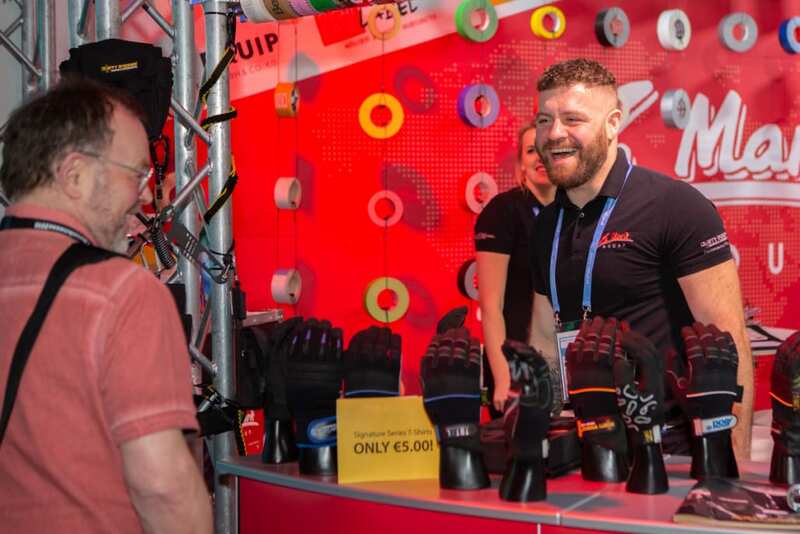 Dirty Rigger was proud to present two brand-new products at Prolight + Sound. 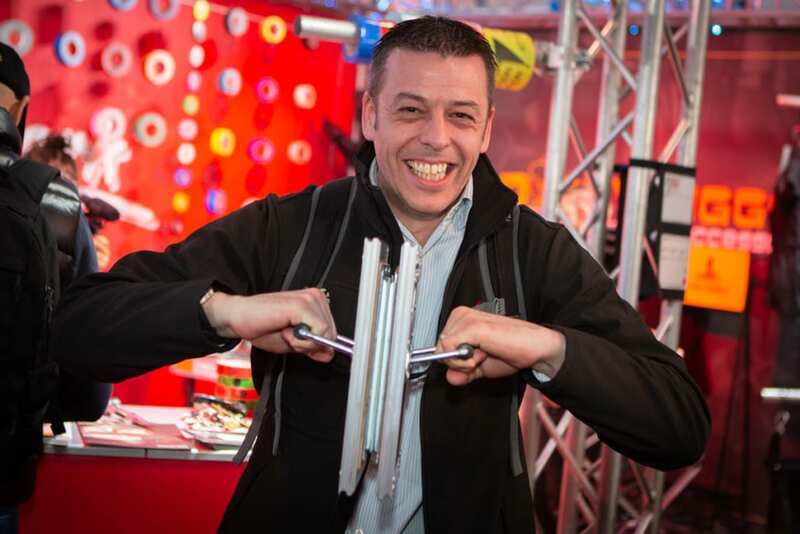 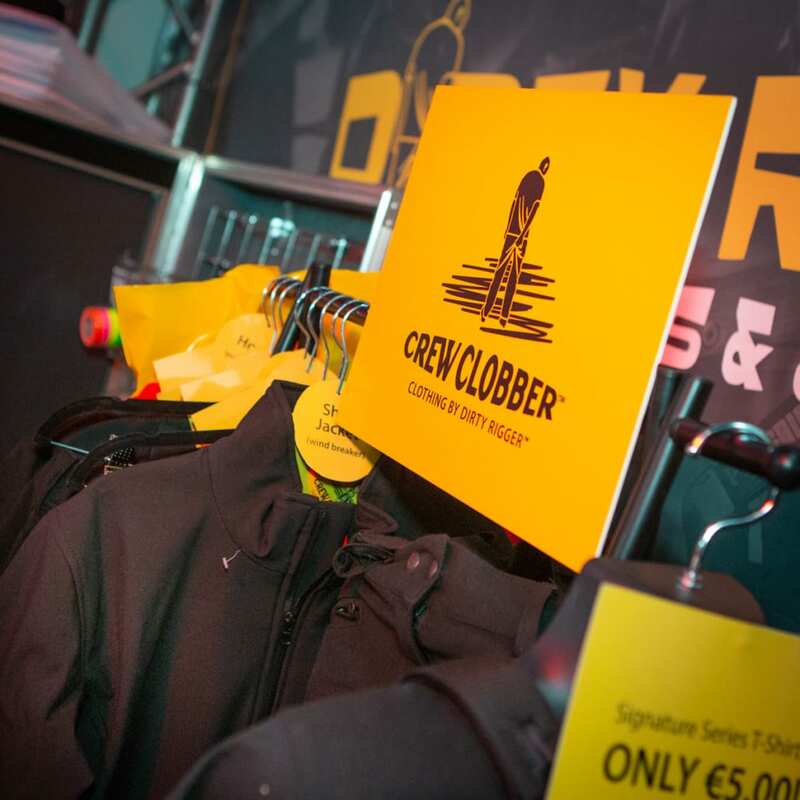 Firstly, they launched a revolutionary range of motor hoist chain bags under the brand UPSTAGE™. 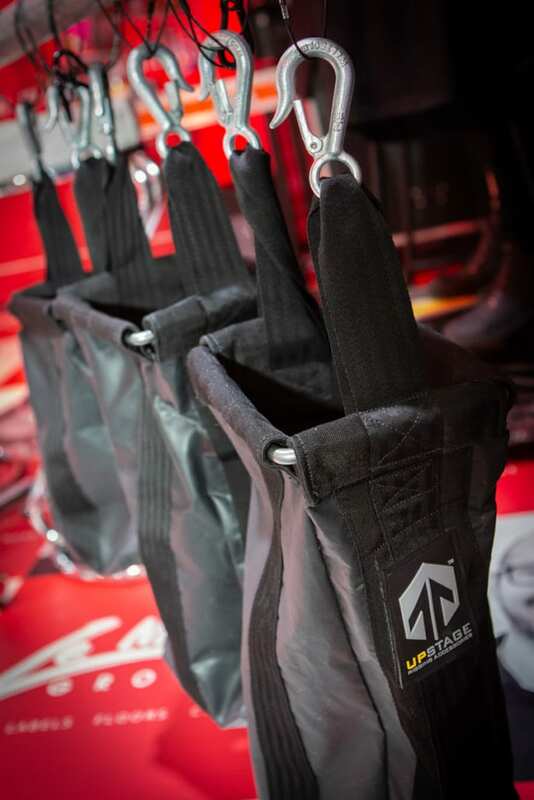 Made and extensively tested in the UK, these chain bags provide an outstanding combination of quality, durability and safety. 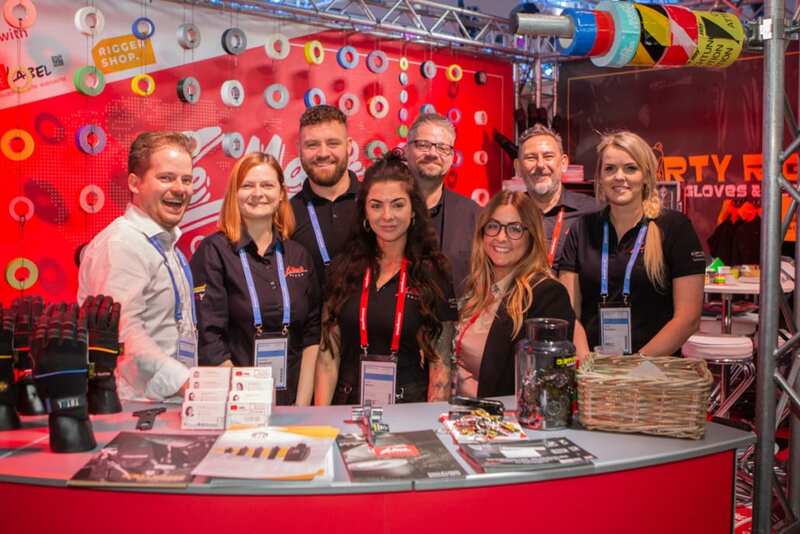 Despite working incredibly hard, the team also found time for a spot of relaxation, enjoying traditional restaurants, a local shisha bar and the Elation Professional after party. 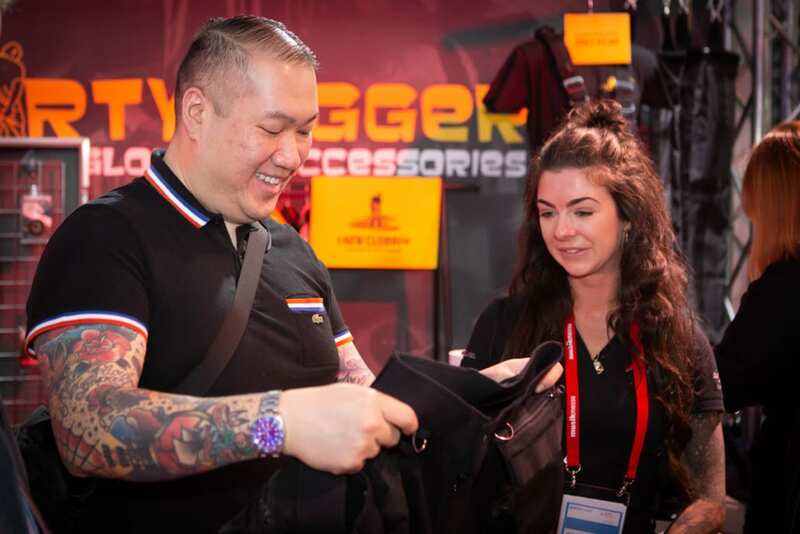 Overall, it was a great show and we’re excited for 2020.